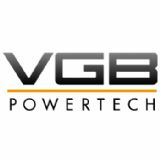 VGB decided to hold the Conference "Maintenance in Power Plants" also in the year 2019 to balance its event portfolio. 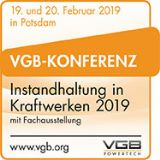 This event is addressed to all experts of the conventional and nuclear division, to the experts of maintenance in power plants and service companies and to the independent inspectors and deputies of governments, who are concerned with new developments in the divisions maintenance, inspection and repair. This conference is to put up the current subjects in discussion and to cultivate the intensive exchange of experiences especially for the experts of maintenance in power plants.